This week, Nashville lost another one of those characters who made the city a truly special place to reside. Peter Pressman was known as the “father of Nashville’s running community” for good reason. Anyone who has ever run any organized race in Nashville has been the beneficiary of his boundless energy that was matched only by his welcoming smile. Nobody I know was ever treated like a stranger by Pressman. He was an equal opportunity encourager. Whenever I showed up at a race, hearing his voice over the loudspeaker making pre-race announcements never failed to bring a smile. Rest in peace, Peter, knowing that you were an inspiration to the city and have left it better than you found it. William Sydney Porter (September 11, 1862 – June 5, 1910), known by his pen name O. Henry, was an American short story writer. He’s one of those authors who doesn’t get talked about much in classrooms these days, but in his day he had an inimitable hand for isolating some element of society and describing it with an incredible economy and grace of language. This weekend, I read a short story of his called “The Cactus,” which I found extremely relevant to Nashville’s education issues. Yes… if… I encourage you to read the entire story and pay particular heed to the ending. O’Henry was known for his twists, and this one won’t let you down. I could draw all kinds of metaphors from this story, but I think the best writing comes when a writer trusts the reader to draw the intended connections. Anybody who has ever read Ayn Rand knows what writing devoid of that trust looks like, a constant beating about the head with the author’s intended points. I trust y’all will be able to draw your own parables, and if not, perhaps my arguments have not been as strong as I think. Either way, the interpretation is in your hands. There is a MNPS school board meeting scheduled for this week, and on the agenda is a presentation of scores from the recently completed MAP testing. I looked over them this weekend, and you want to know something? They are not bad. According to a slide in the presentation, districtwide MAP scores are up 3% from September, and the majority of MNPS students in grades 2-8 met or exceeded their February growth expectations for Reading (55.9%) and for Math (59.4%). Furthermore, when I look through the individual school scores, there seems to be consistent growth throughout the district. Most schools increased the number of kids in the 4-5 quintiles and decreased the number in the 1 quintile. That’s good news, and I think cause for some optimism, but of course I have some questions. If you’ll remember, MAP is a nationally normed test that is officially given three times a year – Fall, Winter, and Spring. MNPS students are nationally normed against kids taking the test during those time frames. MNPS administered the test in August-September, November, and February-March. Technically, the first two events fall into the Fall category and the latter into Winter. MAP has been moving towards a schedule based on the number of weeks between testing, as opposed to the testing periods, but isn’t quite there yet. I raised the question about how that would skew results with the MNPS assessment department after the November results were released and was told it might raise the margin of error slightly, but we’d still get accurate results. Interestingly enough, except for on an early slide, the presentation quickly moves to comparing Fall and Winter results and apparently leaves out the November results. That makes sense due to those times falling into the designated testing times, but we still need to talk about the November results. Why did those scores drop and why did they bounce back in February? I would argue that the November scores are reflective of the impact of the scripted curriculum and that when teachers saw their results, they quickly discarded the scripted curriculum and began doing what they know to be best practices. I’m sure the district would argue that the November scores were a result of people not closely adhering to the scripted curriculum and that the February results are the results of them cracking down on fidelity. Only teachers know the true answer to that one. The number of instructional weeks between tests is also an important factor. I would be interested if scores for Winter are based on weeks between the Fall test and Winter or the November test and Winter. Growth norms change with the number of weeks between testing. More growth tends tends to occur over a span of more weeks. For example, a 5th grade student with 16 weeks of instruction between math MAP test administrations would be expected to show more growth than a similar student with only 8 weeks of instruction between test administrations. Another factor in improved results is that it began to sink in to school leadership how much emphasis district leadership was placing on the MAP testing. Previously, the tests were given, not in a perfunctory manner, but certainly not with a great deal of fanfare. That changed before the Winter testing. There were letter writing campaigns from the kids in lower grades, letters home to parents about the importance of MAP, and call outs from principals. MAP testing now appears to be viewed on the same level as TNReady, and that should raise a flag with anyone concerned about over-testing. My biggest question, though, is why, if district leadership is confident in the validity of these numbers, are we just now hearing about them? Part of the beauty of MAP testing is the immediacy in which results are available. The district has probably had these results for about 3 weeks, maybe a month. Why are they not on the center of the brain for everybody looking at the upcoming budget? Why did leadership not create the narrative of the budget reflecting the successes of the past year? Why was equity parsed from excellence and allowed to stand alone as a reason for budget changes? At the very least, if presented properly, these numbers could have eased some concerns. Yet here we are, two days away from the budget release, and only now will performance scores be interjected into the conversation. Buying cars while sending a message of austerity. Announcing that principals would lose Title I funding in next year’s budget and then not telling them exact figures until after the weekend. Tweeting out a picture of kids standing on crates as your sole explanation of equity. Asking for more money without showing results. Not being honest with board members on the board floor. Inviting people with dubious backgrounds to give input on district policy. Making claims on the effectiveness of water filters without offering supporting documentation. The job is hard enough, but it becomes damn near impossible when you continually hamstring yourself with poor communication and poor decision-making. I got to think Jana Carlisle could have mitigated some of these issues. So throw the decision of letting her go into the bad decision column as well. If MNPS was an NFL team, they’d be the Cleveland Browns. Ever ready to wrestle defeat from the jaws of victory. Well, kudos on the MAP scores. Math looks especially good, since as a district we’ve placed absolutely zero emphasis on it. And save your STEAM arguments. I would offer that the math scores are a testament to David Williams’ skill when it comes to the math curriculum. Hopefully these scores are a sign of more to come. Speaking of communication, you wouldn’t know it by going to the MNPS webpage, but on Wednesday morning at Overton High School at 10:30am, Dr. Joseph will be delivering the annual State of Schools speech. At that time, he is expected to unveil the full 2018-2019 budget. Speaking of the budget, MNPS has added three additional Board of Education Public Hearings to this year’s budget process. They will be held on April 9th, 10th, and 12th. The 9th and 12th will be at 5pm, and the 10th at 6pm. Nothing says we care about what you have to say like scheduling meetings at 5pm. Hopefully some of you will be able to leave work early, beat rush hour traffic, and get the kids a late dinner in order to voice your opinion. Schools in MNPS will be closed for spring break beginning this Friday, March 30. Students will return to school on Monday, April 9. 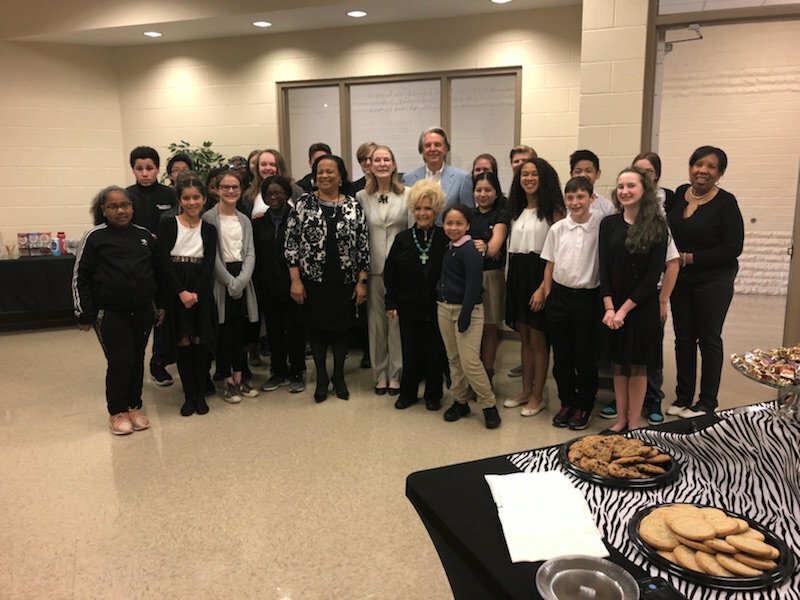 My old neighbor and music legend Brenda Lee visited John Early Middle School to celebrate the opening of its new exhibit: The History of Music Row. Students researched the start of Music Row and how it has changed and developed over the years for this exhibit. Over at the TN Education Report, Tennessee State University students Jose Lazo and Kristifer Kremer talk about DACA and what it means to them. I urge you to read their account. North Carolina loved the idea of the Achievement School District so much that they created their own. Bet you can’t guess how that turned out. Diane Ravitch gets us up to speed. As we get deeper into the discussion of equity, I think it’s imperative that people read Ansley T. Erickson’s Making the Unequal Metropolis. Taking Nashville as her focus, Erickson uncovers the hidden policy choices that have until now been missing from popular and legal narratives of inequality. In her account, inequality emerges not only from individual racism and white communities’ resistance to desegregation, but as the result of long-standing linkages between schooling, property markets, labor markets, and the pursuit of economic growth. By making visible the full scope of the forces invested in and reinforcing inequality, Erickson reveals the complex history of, and broad culpability for, ongoing struggles in our schools. Buy it, read it, share it, discuss it. Response to our weekly poll questions continues to grow, and for that, I am appreciative. Let’s review the answers. Question 1 asked for your opinion of new Nashville Mayor David Briley. Most of you, 33%, confessed you were still trying to get a read on him. 47% of you indicated positive feelings towards the new mayor. Time will tell where it all shakes out, but I think he’s off to a quality start. Question 2 asked for your thoughts on Dr. Joseph reportedly planning to ask for an extra $45 million in the upcoming budget. Out of 150 responses, 93, or 62%, of you indicated you’d like to see the audit first. 35 of you want him to sell the Tahoes before asking. 3 people indicated that they would give the $45 million to him. Here’s hoping those 3 are Metro Councilmembers. Not clear about his current spending. Give me a grant proposal. What do I get? That $45 mill is really what the state owes us. I’d reserve judgment until seeing the results of the pending audit. The last question was on the priorities for next year’s budget as outlined by Dr. Joseph. Not surprisingly, out of 152 responses, 69, or 45%, of you said employee compensation. One quick note here, we often focus on teacher raises, but just as important are substitutes, para-pros, classroom assistants, custodians, crossing guards, office personnel, cafeteria workers, and all those who impact our children’s classroom experience. Literacy was number 2 with 23%. STEAM? Despite the millions that we are spending on changing middle schools over to a STEAM focus, one person said it should be a top priority. One. Feels like a solution in search of a problem. His priority is his own career, of course. Prepare the golden parachute! When are we going to focus on math? Anything but literacy based in what we got this year. We can make our own units. Please don’t forget about support staff. The majority earn below poverty level. There you have it. Another one in the bag. If you need to contact me, you can do so at Norinrad10@yahoo.com. I’m always looking for more opinions and try to promote as many of the events that you send to me as possible, but I do apologize if I fall short and don’t get them all out there. I have started using Patreon as a funding source. 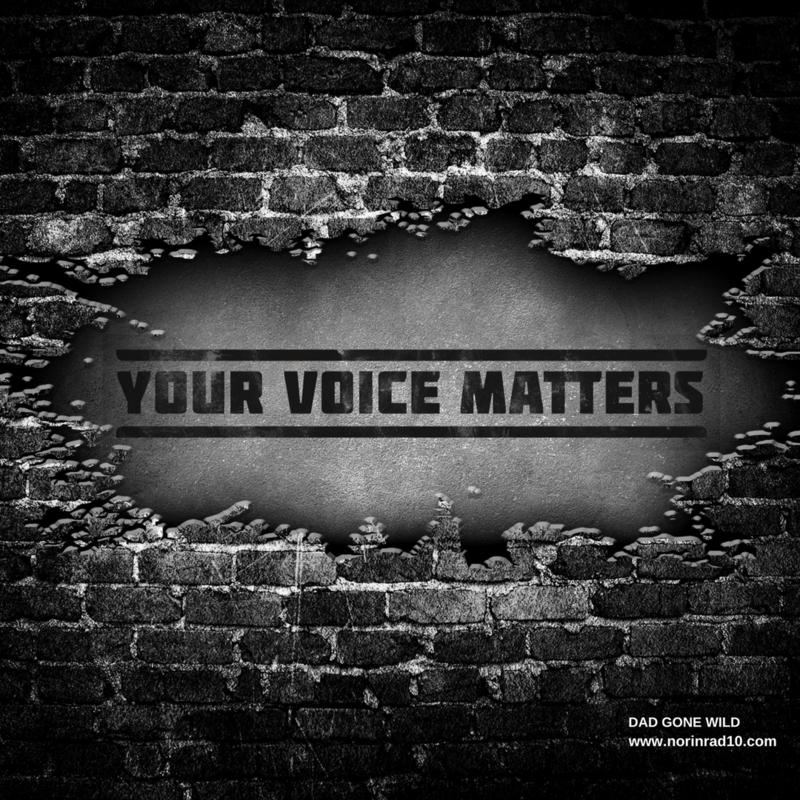 If you think what I do has monetary value, you can go there and make a donation/pledge. Trust me, I know I ain’t going to get rich, but at the end of the day I’m just a Dad trying to get by. Check out the Dad Gone Wild Facebook page as well. And if you are so inclined, check out the Thomas “TC” Weber for MNPS District 2 School Board page. This is a teacher’s telling tale about the newly minted MAP tests and why the push for your district to have the children take the test seriously. Please read. I didn’t understand why teachers were sent email invitations to hear Dr. Joseph’s State of the Schools speech. Were we expected to get subs? How were we supposed to code this day if we requested to have it off? Should we have had to take a day off to hear the speech that we were invited to? Thank you. I definitely will,. I watched the presentation at the board meeting and its shameful. I found it once again repugnant that the vernacular the Doctor chose to use was that his decisions why may not be politically popular they were morally necessary or something with that particular word in content. Cuts that include food, very necessary support staff who were told ironically during an “appreciation” lunch that the food they were cutting was not just on their plate. Then we have the rejection of meeting with the press to have follow up questions. Okay then. Is that morally okay or politically not okay? Or in multiple choice land: A, B or C – all of the above. Let me phrase this professionally, not personally, nor theologically but just simply. Under the concept of being a “Civil Servant” as taxpayers pay said salary you are obligated to speak to said taxpayers, either via the media or through a question and answer meeting with the public. There are of course rules and guidelines for said encounters but again they are OBLIGATED to. Unless there is something in this contract or under TN law that says nope. What is with communication in this district? I don’t think inviting Teachers to said “State of the Schools” made sense as unless he was subliminally messaging that would be a great walk out day.. that would be fitting. But then again having many educated professionals centralized to hear information, process the facts and validate them or offer contrary ones would not be a good idea. Along with communication transparency seems to be a real problem. I hear Hope Hicks is looking for work.. but the “Mooch” would be amazing. But actually having watched that “speech” I am amazed he was a literary teacher as his speaking skill are appalling. But this stood out: “It takes courage sometimes to just try something new. And this entire board has worked together to create a vision and a mission for this school district.” And those are what exactly? So in true Teacher speak: D for content. C for presentation.